I’m surprised at how heartsick I’ve felt while reading my colleagues’ back-to-school statuses on Facebook. My identity as an educator has a significant impact on my way of thinking and being. So it’s strange that it is September and I’m not lesson planning and high fiving students as they enter my classroom. You can imagine then how excited I am to get into New Zealand classrooms, especially since I will get to see how things are taught in a new cultural context. One of the posters I had made for my classroom. Maybe there will be a day with less late work! In the spirit of my love of teaching and learning, I’d like to tell you about a book project I’m happy to be a part of. A friend and colleague, Aaron Poldner, the youngest-ever Golden Apple teaching award winner in the state of Illinois, published a book called How Would You Handle It? : Questions For Teachers To Ask Themselves. The book asks introspective teachers to examine their pedagogies and teaching philosophies to see how their beliefs impact their practice. As a follow-up to this book, Aaron polled teachers on how they would answer the questions, and I got to be one of the teachers. Look out for How We Handle It: Hundreds of Answers from Classroom Teachers on Amazon.com within the month! I’d thought I’d give you some insight of who I am as a teacher. Below are some of my contributions to the project. Hope you enjoy! How are you going to take care of your physical and mental health while you teach, especially during the first few years? How often do you go to the doctor? Do you exercise regularly? Do you have a healthy diet? Would you ever consider therapy or psychiatric care? How do you plan on finding a balance between all of your needs and activities? Gifts given by students after I had suffered illness and loss. Towards the end of second day in my first year of teaching, I passed out in the women’s restroom. It was the last period of the day, and it was my prep period (thank goodness). I woke up on the bathroom floor, and army-crawled down the empty hallway and into an administrator’s office (the hall monitor never once noticed a grown woman in a dress slithering down the hall on her belly). Flipping over onto my back, I moaned to the secretary that I needed help. Two hours later, I was standing in a hospital emergency room clad in a see-through hospital gown with SpongeBob Squarepants underwear holding a cup of my own urine. The school’s superintendent arrived while I was in this precarious position to see if I was okay. To say I was embarrassed is an understatement. My first three years went on like this. I made two more trips to the ER for walking pneumonia and extreme vertigo. I suffered from migraines and exhaustion. 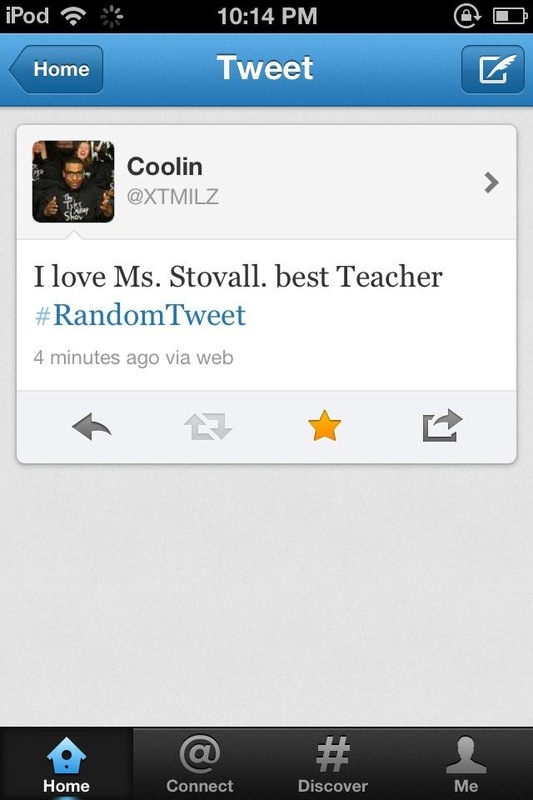 But, I never rested or slowed down. Finally, I took a good long look at my plate: I was teaching full time, coaching an additional twenty hours a week, taking an improv class at Second City, and starting a master’s degree at Northwestern. To make matters worse, I lived across the street from the school, so I would often get home from coaching track at 6:30 p.m., I’d take a nap and eat dinner (which often consisted of hot pockets or a jar of peanut butter), and then I would go back to school to lesson plan and grade until two or three in the morning. My first few years of teaching were already incredibly, incredibly hard, and my extra commitments added to its difficulty. After looking at my plate, I made some crucial changes. First, I moved a twenty-minute drive away from school so that I wouldn’t be tempted to walk back to school in the wee hours of the morning. Second, I quit coaching track. I LOVED coaching, but I needed more balance in my life. Third, I joined a gym and started exercising four times a week. Fourth, I strategized ways to become more efficient in my grading and planning, so I could have more time to hang out with friends and enjoy some downtime. Now, in my seventh year of teaching, I still sometimes struggle with balance, but I am a very, very happy teacher. I finished my master’s degree in literature, and now have time to read books for pleasure. I never take any work related to school home, and I make sure to be really efficient while I’m in my classroom. I always make it to my favorite dance class on Thursday nights, I rarely have to pull out a frozen meal, and I drink coffee for pleasure and not out of necessity. I might not get essays back within twenty-four hours, but I also haven’t seen the inside of an emergency room in four years (knock on wood). 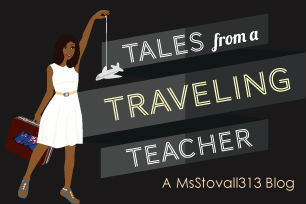 It took me illness, hardship, and drowning in medical bills to get my teaching legs, but I hope to never go back to the sea-sickness caused by those first years of teaching. I am heavily considering going back to coaching, but this time I will be much better at advocating for my needs, and knowing when I must give myself a break. cups of urine in front of my boss’ boss; here are the days of toasts to health and cups running over. Do you agree that it is not enough to just teach a subject; an educator must design her lessons to address social justice issues? For example, how do you feel about a science teacher who organizes a protest against a business because they are polluting a local creek? Taking English class is not just about reading and writing, it’s about thinking critically about global issues. This is one way students exit class: with reflection. The first thought that came to mind when I read this prompt was, “Why even teach if you aren’t going to address social justice? !” I mean, isn’t this the essence of why we teach? To ensure that our students can defend, enact, and demand the freedoms given to them by the United States Constitution? To be critical thinkers who see themselves as a part of a global community? To address the inequities in our criminal justice system, economy, and access to opportunity? I love reading and rhetoric, but I would never teach just because I love those two things. We don’t teach in a vacuum, so I do think there is a great purpose for why we get up each morning to beam at our classrooms at 8:00 a.m.
How long do you need to know a student before you have a thorough sense of his or her strengths and weaknesses? Does it depend on the personality of the student? I also think that student self-reflections are essential. It’s as important for them to reflect on their own progress as it is for teachers to reflect on students, and I often learn the most about students’ strengths and weaknesses when they are introspective about themselves. Because of this, I often check in with students about their goals, progress, and obstacles along the way to help me better assess where I can help motivate them to succeed. How will you greet your students each day (or period)? Explain the reason for your choice. During the passing periods, I stand in the doorway of my high school classroom. I make eye contact and smile at each student, occasionally complimenting new haircuts and cool outfits. If students arrive without their school-issued ID, I will shriek, “HALT!” and dramatically cover the door until they put on their ID. At this point, I will comically bow and let them in. It is commonplace to see students shuffling through their backpacks as they get near my door, knowing they must have one to enter my classroom. It’s a positive, non-threatening way to avoid bad habits that can take away class time. These are the student mailboxes I spent 17 hours constructing one summer. Totally worth the time to stay organized. Once the bell rings, I’ll enter and wait a few seconds for students to get their journals and “mail” out of their mailboxes and shuffle into their seats. Then, I’ll scream at the top of my lungs, “HAPPY WEDNESDAY!” or whichever day of the week it is. The students will then scream the same back to me. The first few weeks, several students will jump each time I scream my greeting, and some will even plug their ears. After a few weeks, students will grow concerned if I don’t shout it with enough gusto, and in the event that I am absent, I’ll get sub notes stating that she was carefully instructed on how to properly begin class, as “they couldn’t start class without their greeting.” Having a quirky way to start the class sets a good tone, establishes routine, and begins each class positively. Do you believe that teaching is part performance? In my experience, too, I find that the more my students like me, the harder and more consistently they will work. Relationship building really is the cornerstone of a great teacher. And part of getting students to like me is to be as dynamic and energetic as possible coupled with some sprinkles of unpredictability. Students often watch me with curious eyes that read, “What is she going to do next?” I would much prefer this to glazed-over eyes. So yes, especially on days when I am a wee-bit cranky because my car got towed the night before, spilled coffee on the front of my white blouse, and discovered too late that I am wearing two different shoes on accident, I have to put on the performance of a lifetime. Because as much as I am human with the full range of human emotions, I never want to let those moods adversely affect how I interact with my students. So, I will act until the smile on my face is genuine. Would you rather teach in a classroom that is uncomfortably warm or uncomfortably cold? How would you handle the situation if your classroom was too hot or too cold and you could do nothing to change the temperature? I would much, much prefer it to be too cold. I bring in home-knit blankets and leopard print snuggies, and students can curl up in them during class. It is a great way for the class to become homier. There is something communal about being cold, and the whole class seems to draw closer to gather warmth from each other. On those soul-sucking hot days where you have the bad fortune to get a classroom without air conditioning, however, students can’t seem to get far enough away from each other. They get crabby and irritated, so instead of talking about Gatsby’s great dream, students are hissing at each other over the way papers are passed down the rows. In addition, I personally get heat sick, so I suffer along with students when it’s too hot. And if I don’t have the energy to stay positive, jump around, and beam my smile across the room, my students certainly won’t be able to do the same. I have to shout over the buzz of fans and angry whispers, which makes me eventually throw up my hands and resort to cold treats and silent work times. So even though popsicles and quiet reading time can be nice every once in a while, I much prefer to teach in the cold with energy and gusto. How are you going to find a balance between humor and seriousness in class? Do you think you might be more inclined to be overly-serious or the opposite? Would you try too hard to joke around at the students’ level? I try to have a sense of humor. When I first started teaching, I was only four years older than my students. I felt like I had to be stiff and serious in order for students to take me seriously. I was worried that students would think of me as an older sister or a friend if I became relaxed and gregarious. However, putting on this façade mainly served to put distance between my students and me. I have discovered that the more I am myself, the more my students respect me and what I have to offer. I definitely have high expectations, and I will become serious if students do not meet those expectations, but for the most part, you might see students standing on desks, learning how to dance the Charleston, or playing a team building game. I may not be conventional, but I certainly am myself. I think part of my appeal is that I am so out of touch with today’s pop culture. I don’t have a TV, and I listen to books on tape instead of the radio. Therefore, I don’t have a great pulse of what today’s youth are watching and listening to. But I am curious, and I’ll ask genuine questions. Sometimes, I will comment on things I find ridiculous (“But leggings ARE SO NOT PANTS!”), but I don’t consciously try to be “cool” or “on their level.” In fact, students find me humorous because I am so far away from their level. One year, students would say, “That’s so raw” when something was “cool or awesome.” One day, when something happened in class that was the antithesis of “cool,” I exclaimed in total seriousness, “that is so cooked.” The students roared with laughter. A student laughed, “Man, Ms. S., you are such a nerd.” So in a weird way, being so unabashedly myself has made me far funnier than if I were consciously trying to be funny. Moments like these are priceless, and I treasure them. Plus, students learn that there are times when it is appropriate to joke around. What sort of parent would you deliberately choose to not call? If a situation arose that would normally warrant a parent call, what would you do? “Excuse me?” I asked, unsure if I had heard her correctly. “I really don’t feel comfortable giving you a number.” I tried to gulp air as I realized I had been holding my breath. The next day, Ted came into class head down, unwilling to look at me. He picked up his grade and never changed classes. I guess I wasn’t hot! 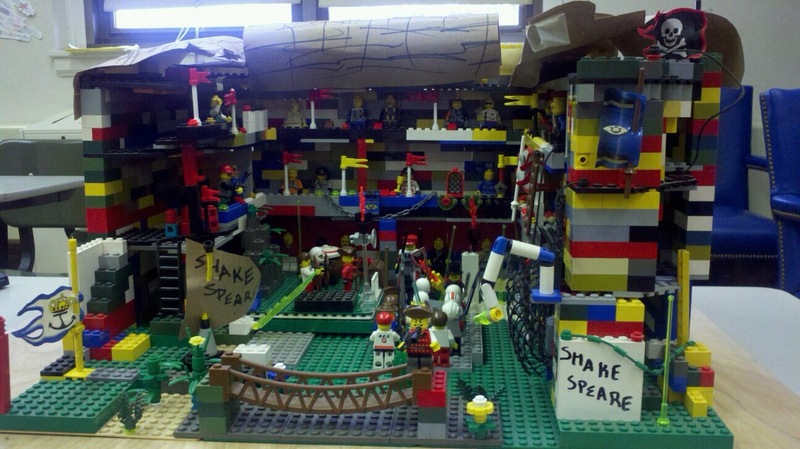 One of the coolest projects I’ve ever received: the Globe Theater out of legos! Awkward situations like these have made me weary of calling parents; you really never know what you’re going to get. Yet, I really do call homes whenever I can. There have been a few occasions in which a parent phone call resulted in the parent physically punishing the student. This is why I now notify students when I am going to contact their parents due to bad grades or bad behavior. Doing this one courtesy has helped me better approach parents, because students tend to be quite honest about the consequences of their poor decisions. In addition, it leads to good conversations with the student about the disconnect between their behavior and my expectations. On the rare occasions when I do deem it unsafe to contact home, I call meetings with the student’s counselor, dean of discipline, and perhaps other teachers to rally around the student. We can circle around and support the student without the parents’ involvement. But other than this very special circumstance, I try to call home as often as I can. The parent not speaking English or having to have conversations about uncomfortable topics are not excuses. Even if I’m asked to qualify my level of hotness, at the end of day, I know that parent involvement is important to my students’ success. Describe a bad dream that you have had about teaching. What sorts of fears or insecurities are expressed in this dream? Are they rational or irrational? A close up of my favorite mug to drink coffee out of in the morning: handmade by a student! I’ve always had terrible nightmares during those fleeting summer nights before school begins. One of my “favorite” dreams is when I dreamt that I covered myself in bubble wrap from head to toe. While blasting the main theme song from “Space Jam,” I chest bumped my new students as they walked through the door, making bubble wrap pops in time to the music. In another dream, I arrived makeup-less, with a food-stained sweat suit, and hair in a ratted hornet’s nest sticking out like a horn from my head. I thought it was the day before school started, and I came into school to make copies, unpack my classroom, and generally psyche myself up for the new year. As I walked up to my classroom, I looked inside and, to my horror, noticed that the room was full of students, looking around confused. As I desperately looked at my cell phone, I saw that the date was the first day of school. And here I was, unkempt and grossly unprepared, with the sauce of last night’s BBQ ribs decorating the front of my outfit. These dreams reveal both my fears of not being prepared for the first days of school, as well as making the wrong first impression on my students. Those first days are full of a lot pressure. Every workshop and professional development I attend about best practices claims that the “first impression” is integral to good teaching. I’ve even been told that the first thing to come out of my mouth is the most crucial sentence I’ll utter all year, and that if I give off the wrong impression, it will have a devastating impact on my ability to build relationships. Now, I don’t buy into these warnings too much because I think that students can be incredibly thoughtful and forgiving. However, I do want to adequately express how much I love teaching, how much I am going to care about them in the coming year, and how much they are going to learn in my class. It’s important that they know that I am here for them, and will be here for them.So although I might worry about being unprepared or look like a hot mess, it’s because I care very much about creating an environment in which every student feels comfortable. I like to think that these dreams are gentle reminders of what I’m all about. Perhaps the year that I don’t have the crazy, anxious,back-to-school dream where I suddenly gain a twitch and a South African accent is the year I should retire from teaching. Sometimes the littlest things make biggest impact.